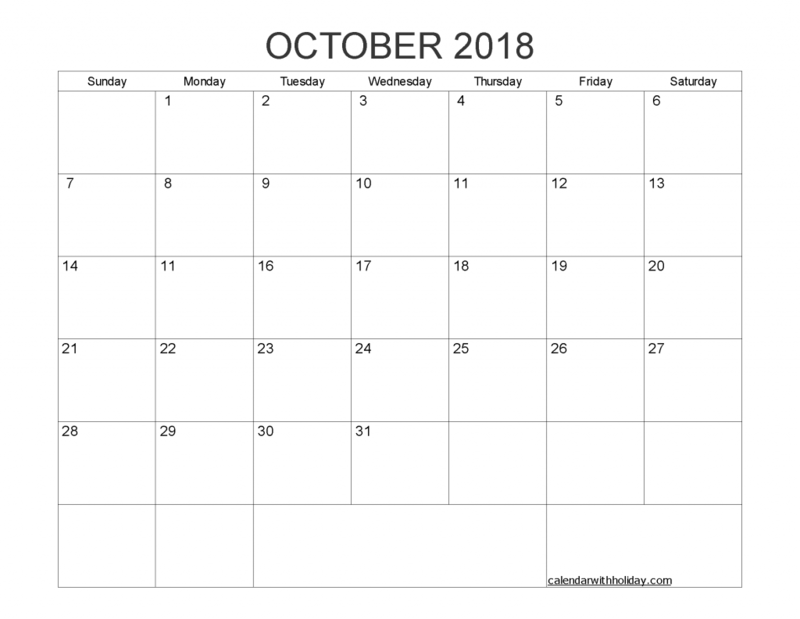 Week day begin on Sunday, Blank Calendar October 2018 Printable 1 Month Calendar Template available for PDF and Image file. Free monthly calendar 2018 designed for your business, school or presonal with PDF, Word and Image file format. Click the link to download your calendar template with high resolution image file: Image (.PNG).